Mauricio Pochettino’s Tottenham Hotspur were one of several EPL clubs to have scouts in attendance for SL Benfica’s Europa League match. 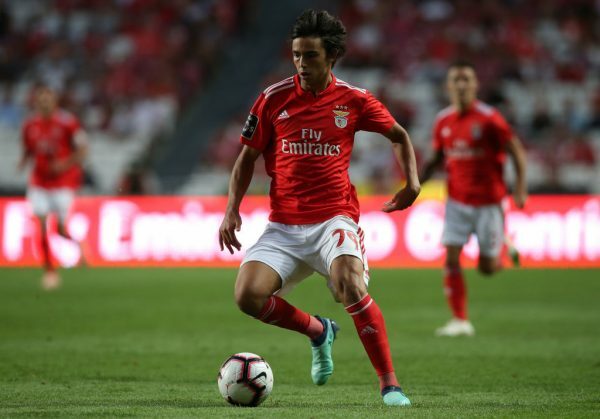 The Mirror reports Tottenham’s delegations were in Lisbon to catch Portuguese wonderboy João Félix in action versus Croatian club Dinamo Zagreb in the Europa League Round of 16. Joao came on as a substitute in the second half of the match and helped fuel Aguias’ aggregate victory after extra time. The star has been called up to his country’s national team for their Euro 2020 qualifying games against Andriy Shevchenko’s Ukraine on 22 March and Mladen Krstajic’s Serbia on 25 March. The teenage sensation started his professional career as a midfielder but has shined operating as a second striker since his senior debut last year. Benfica starlet has ten goals and six assists in all competitions and is the third-highest scorer for the joint-leaders in Portuguese top flight. Chelsea and other elite European sides have been connected with the young attacker since his dynamic rise earlier this campaign. Tottenham Hotspur would be perhaps be able to offer more game time than some others but will still need to offer well-over €100 million to the Lisbon powerhouse. The star signed a five-year deal in November with a rumoured buy-out clause of €120m and Portuguese outfit will have no shortage of admirers.